July 18, 2018: Franklin D. Trump: What else can I do? Obviously, given what we know about history, the comparison between FDR and Trump doesn’t come off very well in this instance—for FDR. 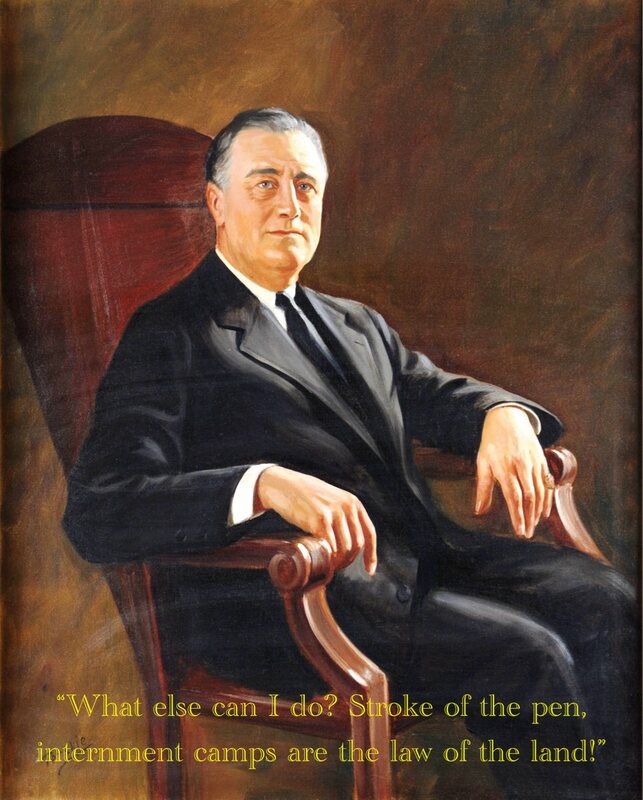 Because it turns out FDR said and did exactly this, and for Russia. Trump, at least, is working to make sure the smaller nations that Russia wants to intimidate and invade have the means to defend themselves. It was only a few months ago that he approved missiles for Poland, for example, and he’s also approved weapons sales to Ukraine and military aid to Georgia. His domestic oil policies encourage American oil producers to undercut Russia’s main economic strength, oil, weakening Putin within Russia. Far from “aligning” with Putin as the left claims, Trump appears to be following the advice of that other Roosevelt, Teddy, by speaking softly and carrying a big stick—or, in this case, making sure that the countries Putin is threatening have big sticks. I hope it works: Putin may not have reached Stalin’s toll against humanity, but he does sometimes seem to aspire to it. A friend of mine recently wrote about his surprise at discovering that Francis Bellamy, who wrote the Pledge of Allegiance was a socialist. Here’s a fun fact I bet you didn’t know: The pledge of allegiance was written by a socialist. I’m not quite sure what Francis Bellamy was thinking; although he imagined all the people of the world pledging to their various flags, the result of the exercise is inevitably nationalistic. His surprise is that, how could a socialist write something nationalistic? In fact, it isn’t unlikely that, pre-World War II, a socialist might also be a nationalist. Many were. They wanted to remake civil society along military lines with the national leader at the top, and that would probably be considered nationalist today. I’ve been reading a lot of Chesterton lately, and he was especially disdainful of socialists who argued in favor of what we would today call a nationalist approach to solving the world’s problems, an approach he called “the scientific state”. It put the state—that is to say, officials of the state—in control of everyday life, deciding who works where and for how much, among other things. 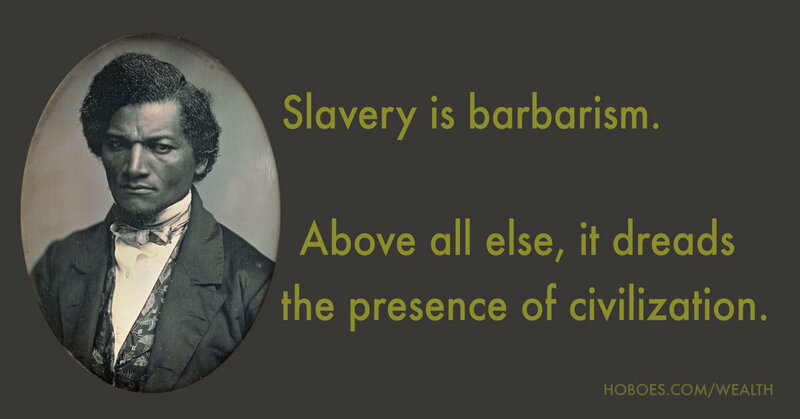 His objection, in Eugenics and Other Evils was that you cannot trust such a powerful government. The objection to a cataract is not that it is deafening or dangerous or even destructive; it is that it cannot stop… The State has suddenly and quietly gone mad. It is talking nonsense; and it can’t stop. I was just reading a pre-World War II science fiction novel, Olaf Stapledon’s Star Maker. Stapledon appears to be a socialist in the H.G. Wells style, and Star Maker is an appeal to both a cosmic communism and to a more nationalist socialism that would implement it. Cherry-picking photos requires that you understand what you’re looking at. Democrats seem to possess a pathological inability to see the value of getting down to work. 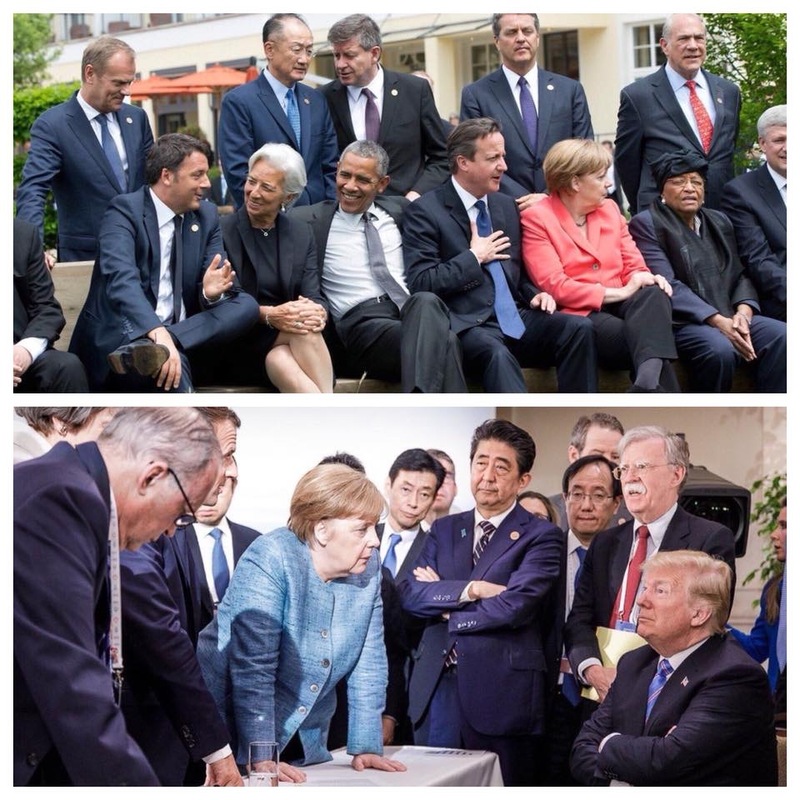 When I first saw this pair of photos pop up in my Facebook feed, I thought it had been posted by a conservative—and that it was an unfair comparison because the two photos were obviously taken at different points in the international meeting. I fully expect that there are photos of President Obama working, and photos of President Trump goofing off. I turned out to be half right. I was very surprised to read further and discover that this was posted as anti-Trump and pro-Obama. My first impression was that the top photo looks like a kindergarten photo. The bottom photo looks like people working. Denigrating a working photo and saying that everyone should always act like goofy happy kindergartners is, dare I say, how you got Trump in the first place. The photo montage reminded me of a similar photo in California when Governor Schwarzenegger was running for re-election. That photo showed a sleezy used-car-salesman running against a strong, forceful Schwarzenegger. It turned out to be from the government unions, campaigning against Governor Schwarzenegger. Schwarzenegger won; I don’t know if the same will hold true of Trump in 2020, but if they keep with photos like this I wouldn’t be surprised. 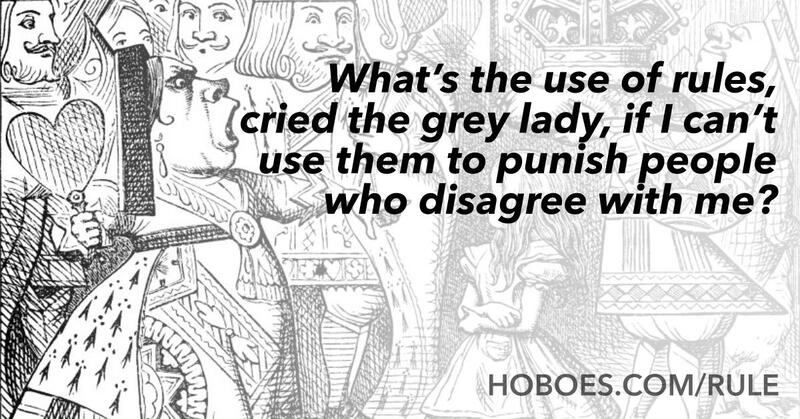 It shows a serious lack of introspection, a complete inability to recognize what other people see. But there’s a stranger feel to these photos. The top photo is, because I’ve recently read After America, extraordinarily Eloi-like. The playfulness is goofy when compared to a working photo. They appear, in comparison, cluelessly unserious. To paraphrase Orwell paraphrasing Kipling, they can be that unserious only because other world leaders are working behind the scenes to make the world safe. And what these photos tell us is that those world leaders only work to make the world safe when President Trump is leading them. The photos tell us that unlike his predecessor Trump is able to convince those leaders to work together instead of dancing through the fields while, one by one, the other Eloi drown and are carried downstream never to be seen again. 2018 in Photos last modified August 9th, 2018.